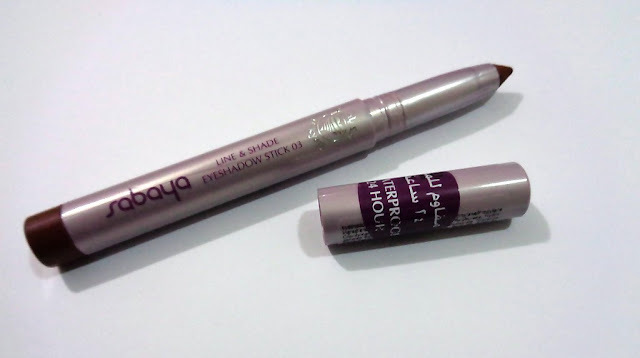 Result: Mikyajy, which is an Arab beauty brand, may not be much heard of in Pakistan but if you happened to visit any Gulf countries do checkout their stuff. 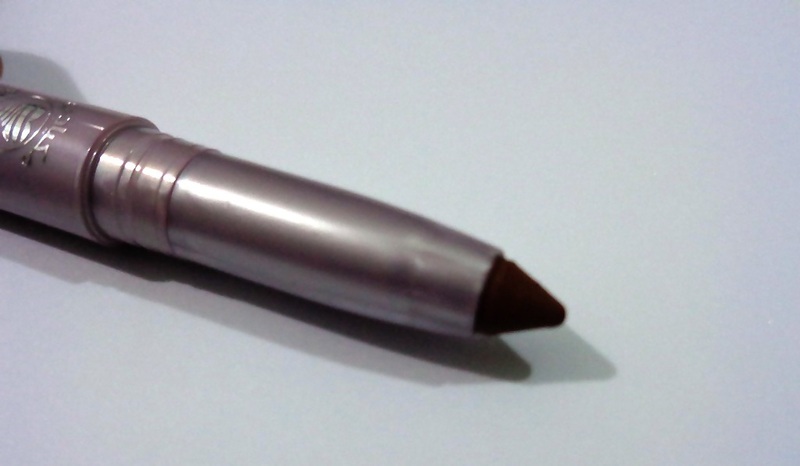 The Sabaya Line & Shade EyeShadow Stick is a buttery soft, neutral brown shade stick with an orange undertone to it. I actually enjoy using it on my eyes as it glides on super smooth and the pigmentation deserves compliments. The product also claims to be waterproof and promises 24 hours of wear and I couldn't agree more. I slept with it on my eyes and next morning it was still there as it is. I didn't use it over an eye shadow primer either. It doesn't react to water at all and a slight rub of a cleanser is enough to remove it. 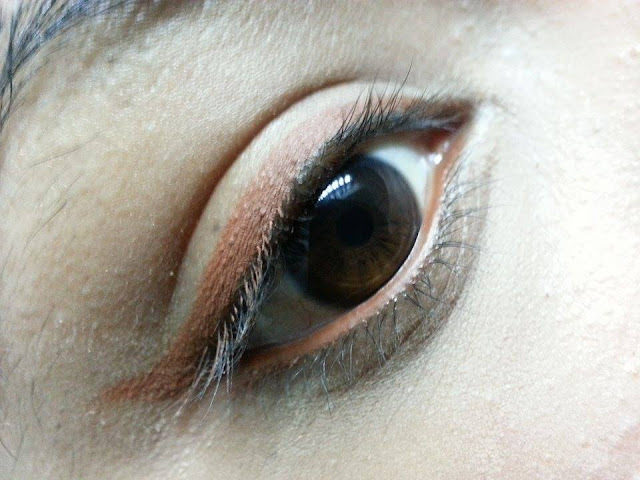 This shade (I wish it had a name) will show on fairer skin tones, whereas I am on the wheatish side and to be honest I prefer dark deep browns, so I basically use this as an eye shadow base as it works wonderfully that way also. It does not crease at all and doesn't fade. However, the tip will not stay pointed as it becomes thicker after each application. 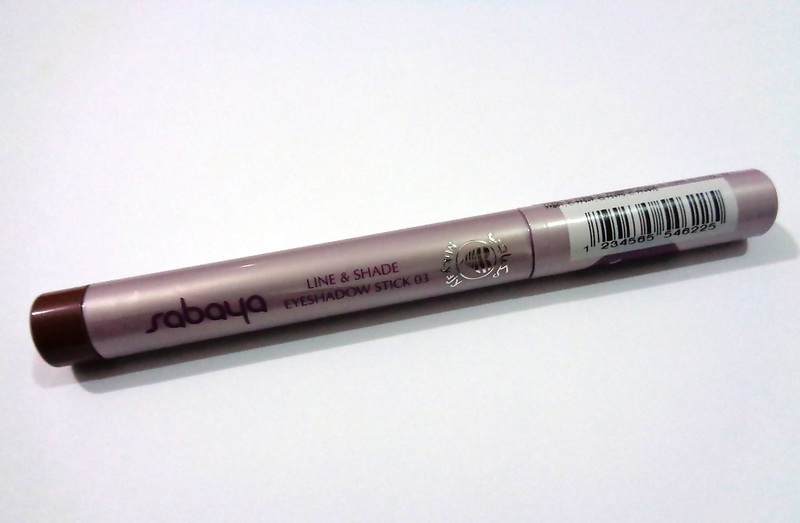 Mikyajy Sabaya Line & Shade EyeShadow Stick comes in 4 shades and each stick contains 1.4 grams of content. Available at: Mikyajy counters in major malls across UAE. Pakistan: Unfortunately this brand is not available in Pakistan as of yet. Conclusion: It's a versatile product and I'm definitely going to try more shades. My first impression of Mikyajy is very good. Lets hope they keep up to it. Recommended? Yes. This product sounds great and I love its color. Great review, dear! Looks quite creamy, would love to have a black one. This shade looks great to work on lower lash line, as near to be, pencil based product work more good than powder based products on lower lash. Looks nice and creamy on but I'd go for a dark brown or black color. Looks super gorgeous! Do you think layering up with pwder shadow will be a good idea? It looks amazing, i love brown shades and this one looks a must have. This is a nice shade. Will look better with mascara on. Thanks for sharing review and nice swatches.